You have 2666 characters. Don’t forget to add important and relevant keywords in your description to improve your iTunes app page and optimize your SEO. Your app's last version was released on August 30, 2018. It is important to regularly update your app. Best practices recommend to update your app every 4 to 6 weeks. This means fixing reported bugs, improving existing features, launching new features etc. Keep an eye on users' feedback. The next great features may already be asked by many users. 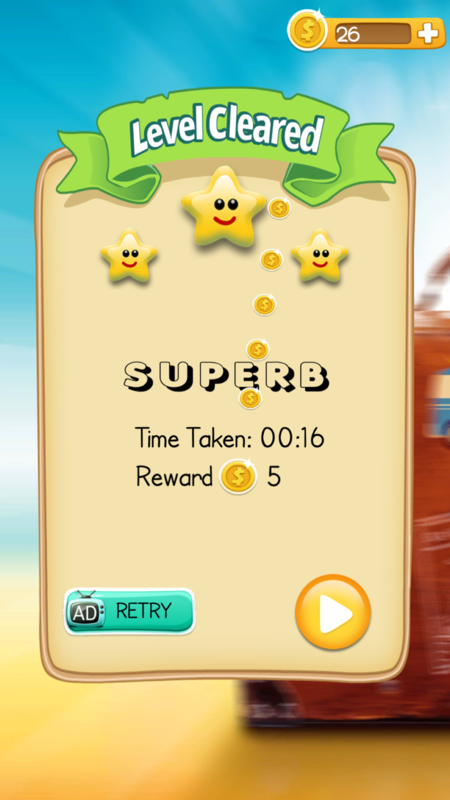 One of the most thrilling & challenging emoji games of the year. See the word, words or sentence and use the appropriate emojis from the list of emojis. 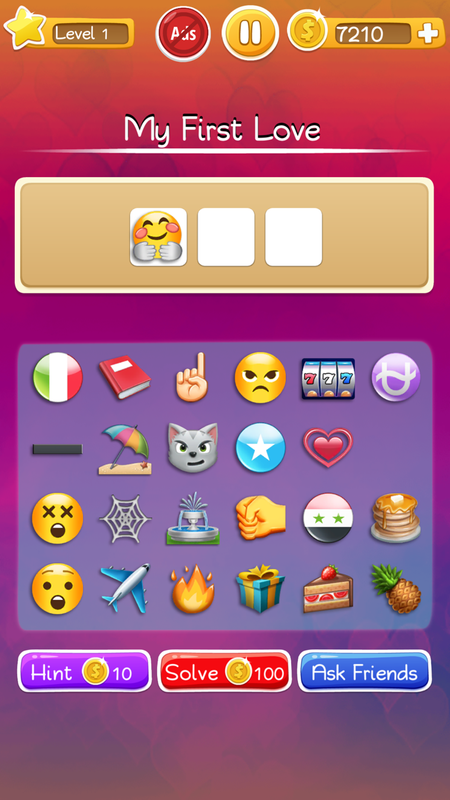 Find the emojis that suit the sentence and try reach the high score. There will be smileys :-), sad faces :-/, crying ;-( and more. The words may require emoji objects like pineapples, cars and activities like working out. 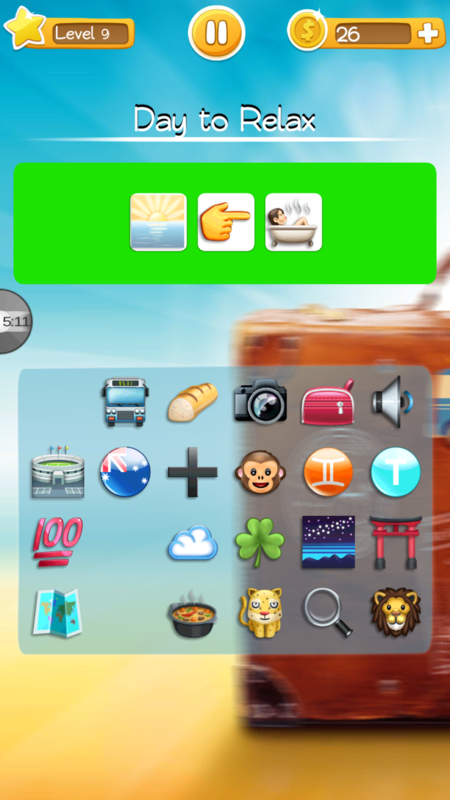 This guess the emoji game resembles real life situations. 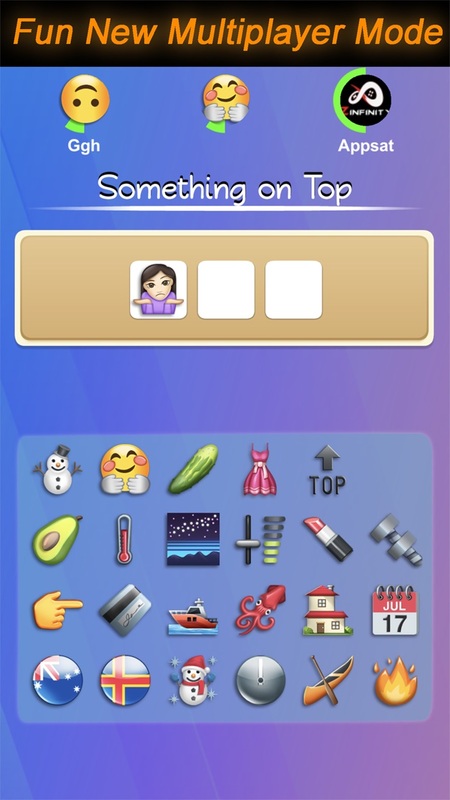 Guess that emoji and have fun with Words To Emojis! CAN YOU PASS ALL LEVELS?! - Designed for casual players and for some jolly time with family and friends! - Over 1400 Levels, with entertaining stages (level packs) such as Hollywood Movies pack, Foods pack, Sports pack (loaded with levels on cricket, soccer, baseball, hockey and more! ), English Music / Songs pack, Friendship, Love, History, Brain Teaser and a lot more! - Start your guess the emoji game on iPhone and continue on Facebook and vice versa. - Challenge friends and brag your emoji recognition skills in the brand new Global Challenge Multiplayer mode. - No registration or signup required.. just start and have fun! Best word game for all the Emoji Movie lovers! Play the world famous emoji game today, with friends and family!